Do Weddings Need to Be Re-imagined? The marriage rate among young adults has declined to its lowest level ever in the United States, new census data from 2009 indicate. The change, it appears, is due in large part to the recession, which makes marriage less appealing for young people. Does this change highlight a need to inject new life into the wedding industry, and to re-create marriage for struggling young couples with different priorities? The number of young people 18 and over tying the knot fell to a record low level of 52 per cent last year, a 5 per cent drop from 2000. 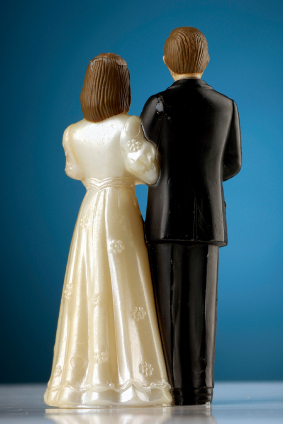 For many potential brides and grooms, the recession is making marriage a less realistic option: according to demographers, more young people are putting off or entirely forgoing the sacrament of holy matrimony as they move in with their parents, focus on finding stable jobs, and avoid making long-term commitments which might sap their much-needed resources. Adding to the shrinking wedding rate are the rates in divorce and cohabitation, which have been rising in recent years. “Given the scope of the recent recession, many more couples are likely to choose cohabitation over marriage in the coming years,” observed Mark Mather, associate vice president of the Population Reference Bureau. In addition, approximately 46.3 per cent of adults between the ages of 25 and 34 reported never having wed, the first time this rate had exceeded the rate of married young adults, which stood at 44.9 per cent. Incidentally, the same data show that the United States has the widest gap between rich and poor of any industrialized nation, mirroring the discrepancy between those who can and cannot fund lavish receptions, find a wedding officiant of their choice, and enjoy the honeymoon of their dreams. According to the international Gini index, income disparity in the U.S. rose to its highest level since 1967, when the U.S. Census Bureau began tracking household income. While the wealthiest 5 per cent, who earn more than $180,000 per year, added to their income last year, families earning the median average of $50,000 made less. The disparity is greatest in large cities such as New York and Los Angeles, which have a high number of top earners (such as financial workers) as well as low-income immigrant and minority residents. However one looks at it, the nature of weddings is changing rapidly in the United States—for better or worse. As always, we invite our ministers to share their thoughts on the issue. Do weddings need to be “re-worked” and re-imagined in order to serve young, struggling couples in the current poor economy, and in a world that is experiencing profound shifts in social mores?